Over half the people in the world believe in reincarnation, but the belief doesn’t have much of a foothold in the Western world, where the Abrahamic religions hold sway over 75% of the population. The Christian Gnostics believed in the transmigration of souls, but this belief was suppressed by the early 4th century, when the Gnostics were kicked out of the Church. This is beginning to change, in part because of the research work of Jim Tucker and his concentration on the experiences of American children and what those experiences have to teach. Dr. Jim B. Tucker, MD, is an associate psychiatry professor at the University of Virginia Medical Center’s Division of Perceptual Studies. Since Dr. Ian Stevenson (1918–2007) retired in 2002, Jim Tucker has been continuing his work, and extending it, at the University of Virginia. He is also the author of Life Before Life: A Scientific Investigation of Children’s Memories of Previous Lives, which presents an overview of over four decades of reincarnation research at the Division of Perceptual Studies. 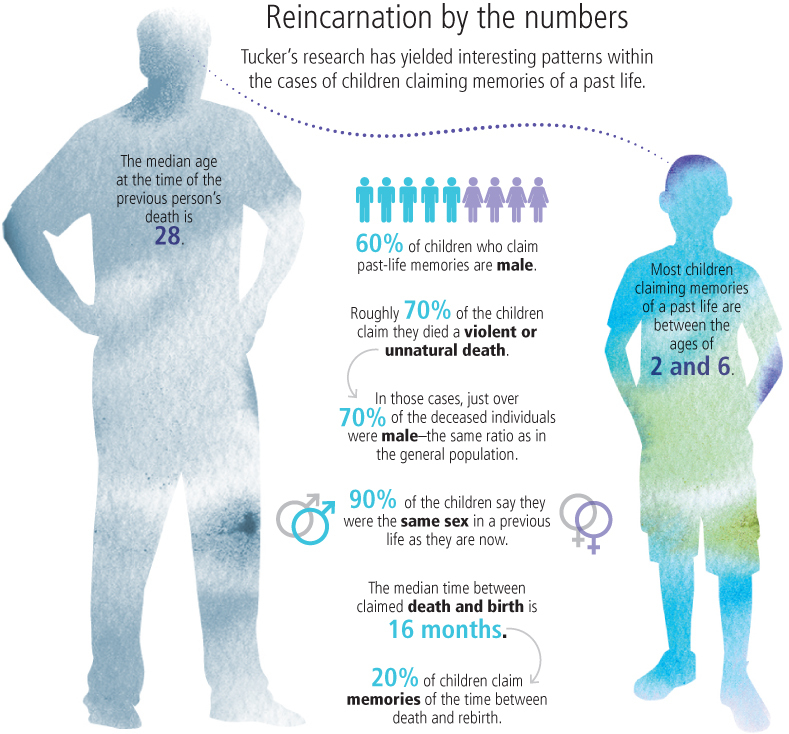 For nearly 15 years, Tucker has been investigating claims made by children, usually between the ages of 2 and 6 years old, who say they’ve had past lives. The children are sometimes able to provide enough detail about those lives that their stories can be traced back to an actual person—rarely famous and often entirely unknown to the family—who died years before. Last year he was interviewed by Rachel Martin on National Public Radio, which can be heard here. If you want to read more about this remarkable case, James’ parents have written a book about their family’s experience called Soul Survivor. Whether you believe in reincarnation or not, you must at the very least agree this is a compelling story.